I don’t want to scare you, but let’s talk about cooking pork. It’s a topic that everyone should understand, the same way they should understand proper handling and cooking of chicken, beef and fish. Nothing spoils a delicious meal like a rushed trip to the bathroom (or emergency department). Much has been written (and rightly so) about how to safely cook pork and the results of not doing so properly. In pork’s defense great strides have been made over the last 50 years in making pork much safer to handle and cook. My information comes from an excellent source, the USA Food Safety and Inspection Service. 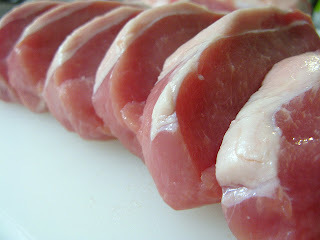 For full details on cooking pork check out this USDA food safety link. It is a wealth of important information. What food borne organisms are associated with pork? Pork must be adequately cooked to eliminate disease-causing parasites and bacteria that may be present. Humans may contract trichinosis (caused by the parasite, Trichinella spiralis) by eating undercooked pork. 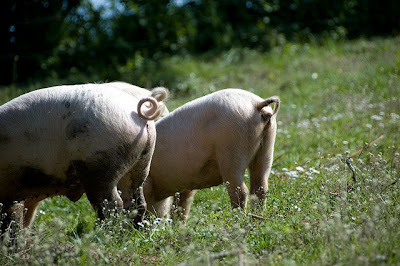 Much progress has been made in reducing trichinosis in grain-fed hogs and human cases have greatly declined since 1950. Today's pork can be enjoyed when cooked to an internal temperature of 145 °F as measured with a food thermometer before removing meat from the heat source. For safety and quality, allow meat to rest for at least three minutes before carving or consuming. For reasons of personal preference, consumers may choose to cook meat to higher temperatures. 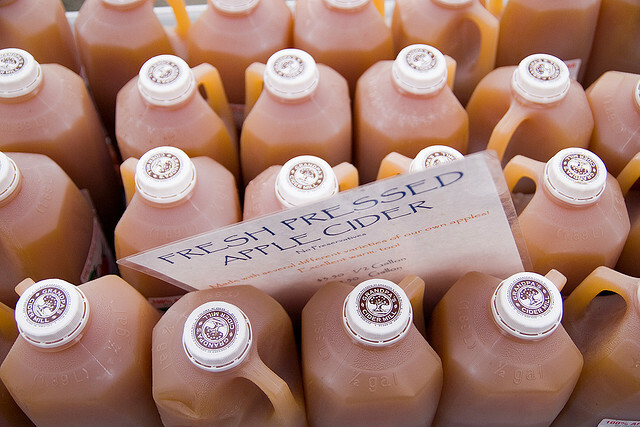 Apple cider from this year's apple harvest is in stores now. Some other food borne micro-organisms that can be found in pork, as well as other meats and poultry, are Escherichia coli, Salmonella, Staphylococcus aureus and Listeria monocytogenes. They are all destroyed by proper handling and thorough cooking. Cooking meat is a bit of an art. We’ve all had a dry, leathery piece served to us,. That’s a real waste but at the same time it has to be fully cooked to the appropriate temperature for safety sake. A perfectly cooked piece of meat is a delight. Under or over cooked is not so much. One fact I did learn is to never partially cook pork, refrigerate and use later. It’s a recipe for contaminating your meal. Of course it only makes sense. I’ve never done it. The only food I’ve ever heard of partially cooking is vegetables (blanching) and then they are either frozen or canned. The best way to ensure safety and taste in any meat is to measure the internal temperature with an instant read thermometer. If you don’t have one you should really, really get one. This is one kitchen gadget that can be a true life saver. Combine the garlic powder, onion powder, thyme, Worcestershire and apple cider. Pour into the pan and let cook for an additional 2 to 3 minutes. Turn the pork once in the cider. 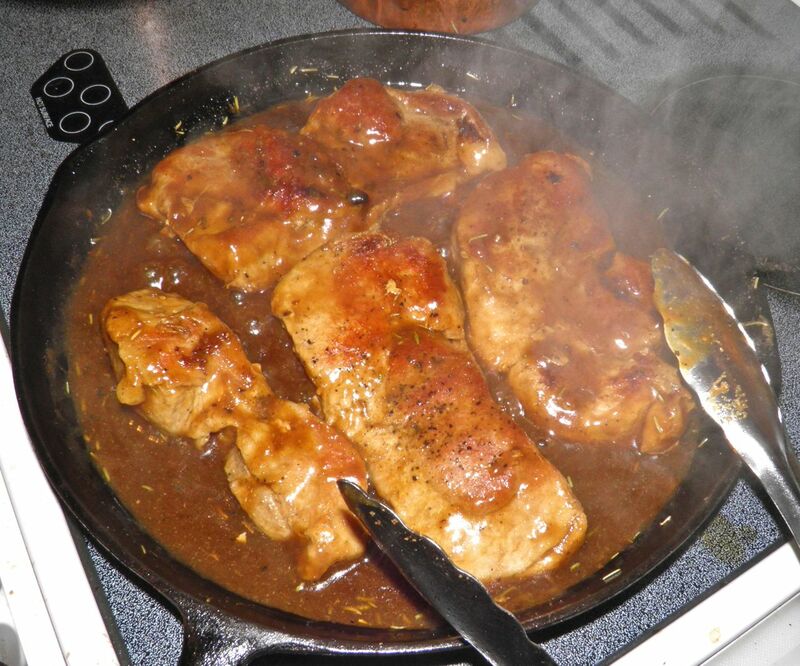 Remove pork to a plate while you thicken the sauce. Let the chops rest in the glaze for 3 minutes. 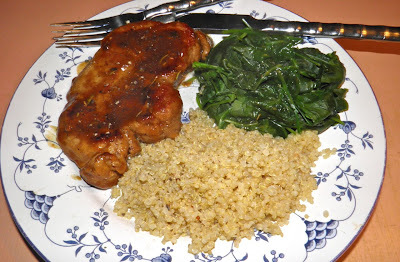 Serve with a little more glaze and wilted greens such as chard or spinach and maybe beets on the side. And don’t forget your grain (couscous, rice, quinoa, barley, etc). My personal suggestion? Quinoa cooked with chopped dried apple slices. All in all it would be a very Autumnal meal for a cool November day.